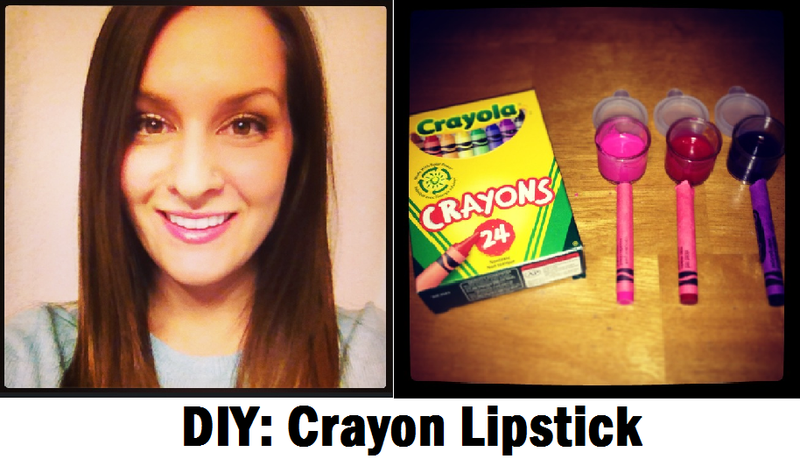 These cute crayon lipsticks take less than 10 minutes to make, can be sheer or opaque depending on your preference, and smell delicious! With just a couple simple ingredients and kitchen items, they are simple, inexpensive, and a lot of fun to create. They are also completely safe as crayons are non-toxic. Let’s get started! 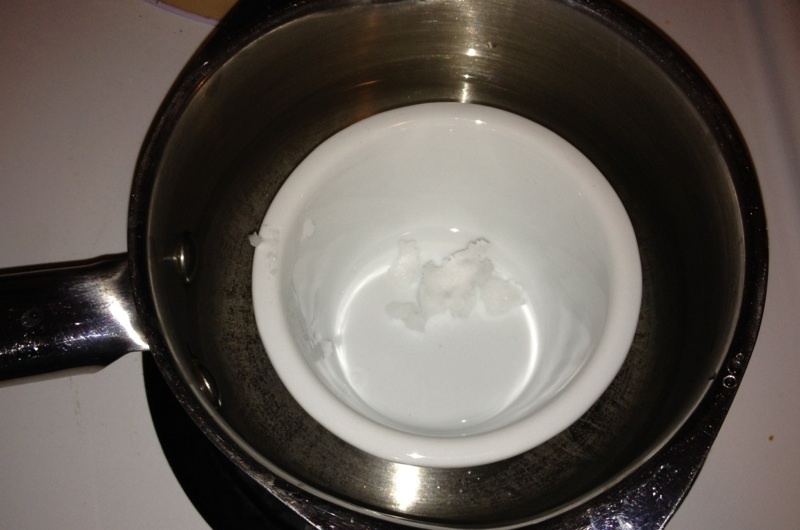 Place 1 cup of water in a small pot. 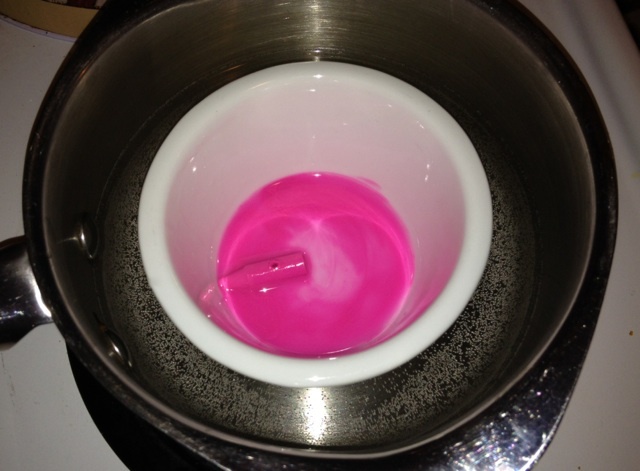 Place the small glass dish inside the pot to create a double-boiler. 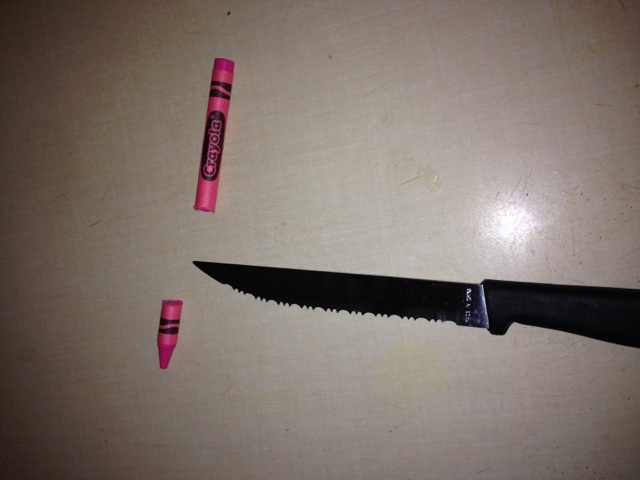 This is necessary as the crayons will not melt properly in direct heat. Turn the stove on low-medium, and add your desired amount of coconut oil (1/2 tsp for a sheer finish, slightly less for opaque). 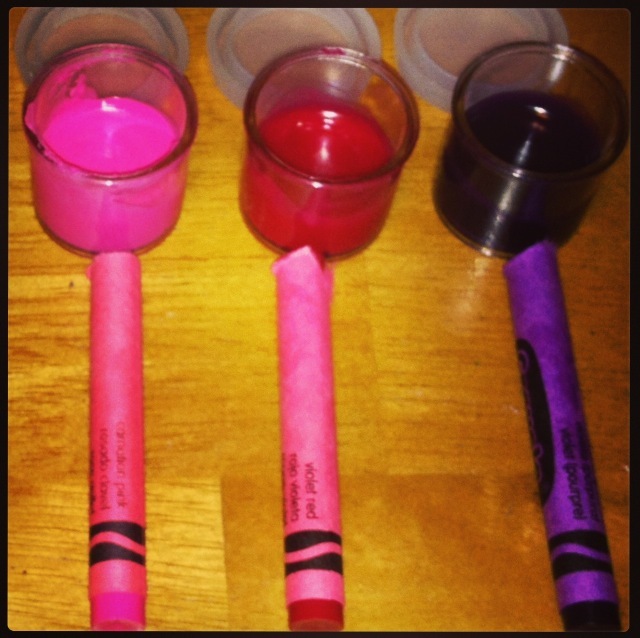 While the coconut oil is melting, cut a 1-inch piece of crayon and remove the paper. 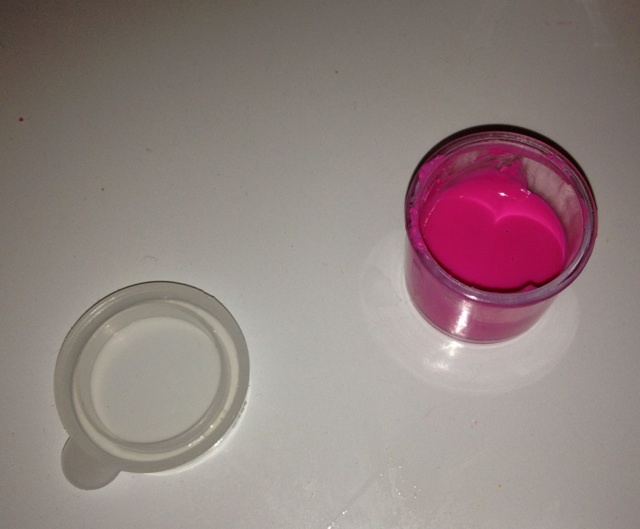 Once the coconut oil has fully melted, place the piece of crayon in the glass bowl. You can use a toothpick or small spoon to stir as it melts. Once fully melted, carefully (it’s hot!) 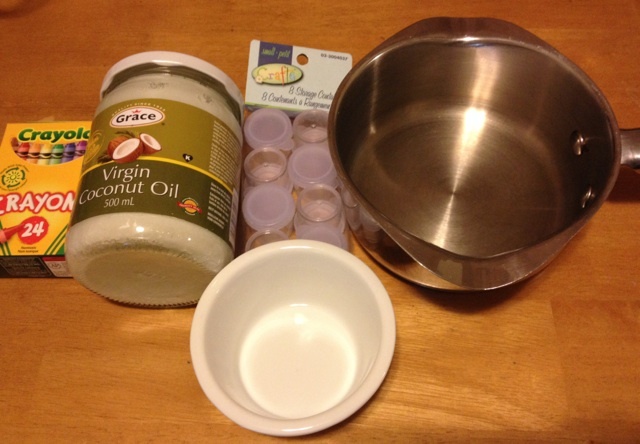 remove the glass jar and quickly pour the liquid into your small container. Cool with the lid off, approximately 30 minutes. Repeat and experiment with new colours! A certain crayon too dark for you? Try adding a small piece of white crayon to lighten (or black crayon to darken). What colours are you going to try? Let me know, below! How fun! this would be a perfect sleepover gift for little girls! I wonder if you could add a tiny drop of peppermint oil? I’m loving mint-iness lately!